In preparing the chicken chili dish, begin by heating the tomato juice in a small saucepan over medium heat until it boils. Once it boils, remove from heat and add the cracked wheat. Cover the mixture and let stand for 15 minutes. Next, heat the vegetable oil over medium heat, add garlic and onions to the oil, then cook for about five minutes. To this mixture, add carrots, celery, and tomatoes, then mash the mixture up with a spoon, along with their juices. After that has been successfully completed, cover and cook this mixture for 25 minutes. Once completed, add the pinto beans, chicken, cracked wheat, cumin, oregano, green chilies, and chili powder to the food concoction. Then, simmer while partially covered for 30 minutes. The chicken chili dish should be stirred occasionally to keep the cracked wheat from sticking together. Once finished, pepper, salt, and even tabasco sauce can be added to the chicken chili for taste. In under 90 minutes, chili lovers and/or foodies can enjoy a chicken chili recipe that will delight and nourish. It is also a wholesome and hearty source of nutrition with a modern-day, more health-conscious twist. Food is not only meant to nourish the body, but also the taste buds and soul alike. It should be a celebration of the senses. For many decades, chili has been a much-beloved comfort food. Moreover, it is also considered a wholesome and hearty source of nutrition. In this day and age, many people are becoming more health-conscious. As a result, they are avoiding, cutting back on, or have completely abandoned red meat and have subsequently converted to meatless and white meat options. Over and above this state of affairs, more people than ever before are revising old standard food recipes with new, more health-conscious ingredients. Case in point, this recipe for chicken chili is intended to nourish the body and delight the senses. 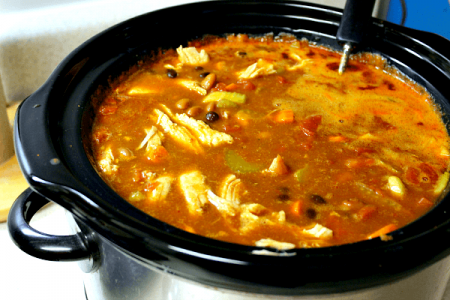 The ingredients and portions detailed above will yield a wholesome and hearty chicken chili recipe to be enjoyed, as well as not to be forgotten. 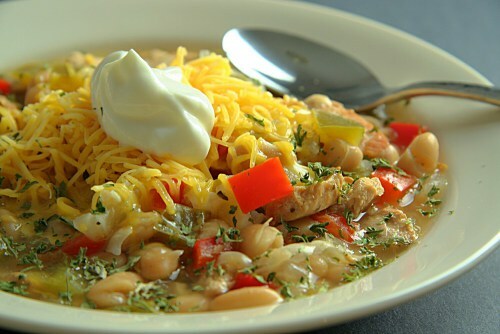 6 Responses to "Health-Conscious Food Recipes: Chicken Chili Delight"
this site is my breathing in, rattling fantastic style and perfect subject material.